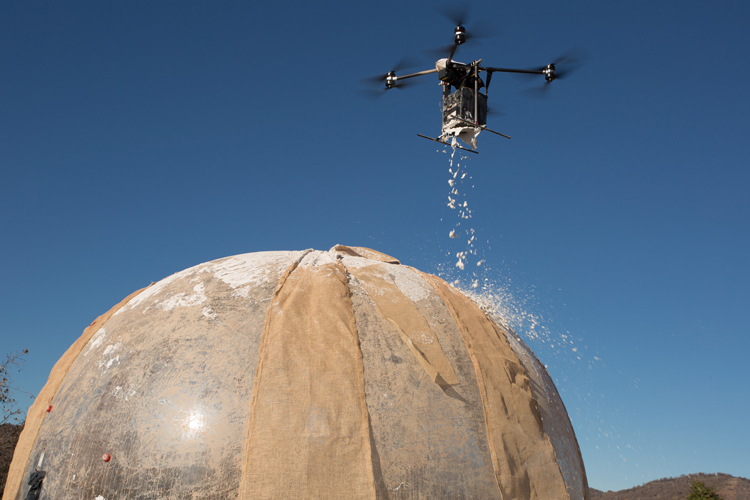 The annual design fair and exhibition, which takes place during London Design Festival, is moving from King’s Cross to South Bank this year, and has announced a host of exhibitors and installations. 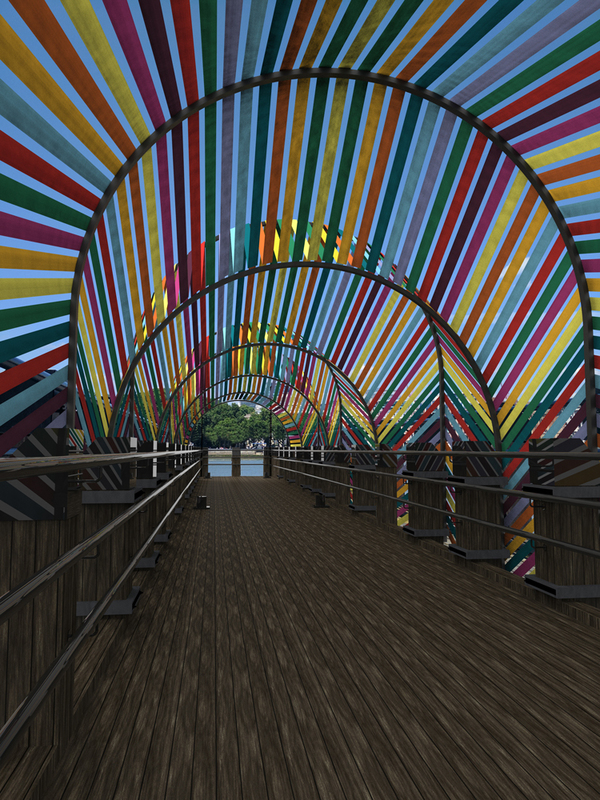 London design fair and festival Designjunction has announced its programme and installations for this year, which include an emergency shelter prototype and a colourful walkway. Designjunction is now in its eighth year, and takes place over four days to coincide with London Design Festival in September. Traditionally a product fair, it now also hosts pop-up shops, installations, exhibitions and a talks programme. 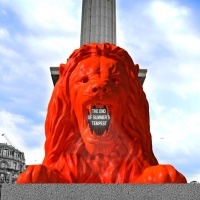 The festival will take place in London’s South Bank this year, set across three main sites – Doon Street, Riverside Walkway and the Oxo Tower Wharf and Bargehouse. Doon Street will host 200 international brands and pop-up shops for the fair, Riverside Walkway will showcase outdoor installations, and Oxo Tower Wharf and Bargehouse will be home to brand installations, talks and exhibitions. 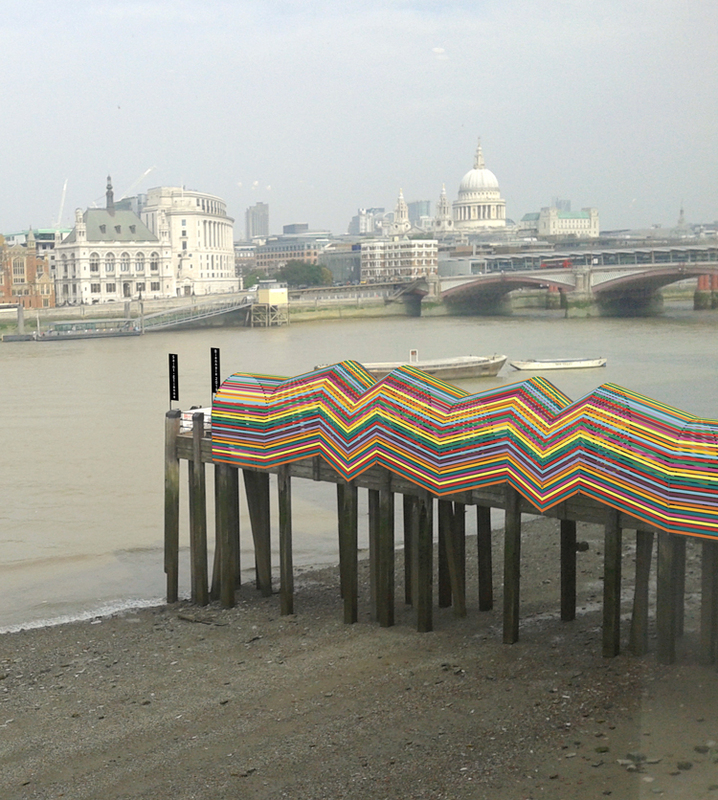 Installations on the Riverside Walkway include Mud Shell, a housing prototype for emergency situations developed by architect Stephanie Chaltiel, and funded by InnoChain ETN Network. 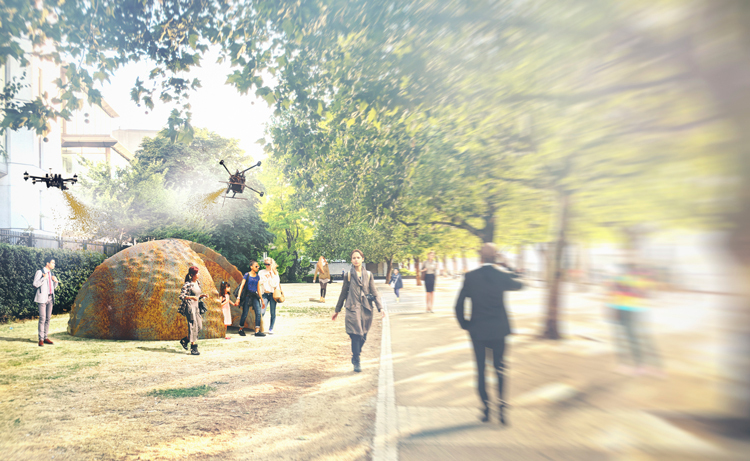 The dome-shaped structure will be made of a light fabric, and programmed drones will then be used to spray natural materials over the shelter, turning it into a more permanent, “sturdy and durable” living environment, says Designjunction. The idea is to create housing solutions using sustainable and natural materials alongside technology. Another installation is the Gateway to Inclusion, created by Lisa White, head of lifestyle and interiors at WGSN alongside designer François Dumas. It is a pavilion on behalf of Saint-Étienne, in France. It is a structure made of steel and ribbon, and is a tribute to Saint Étienne’s traditional industries. It will be placed on a jetty overlooking the Thames river. 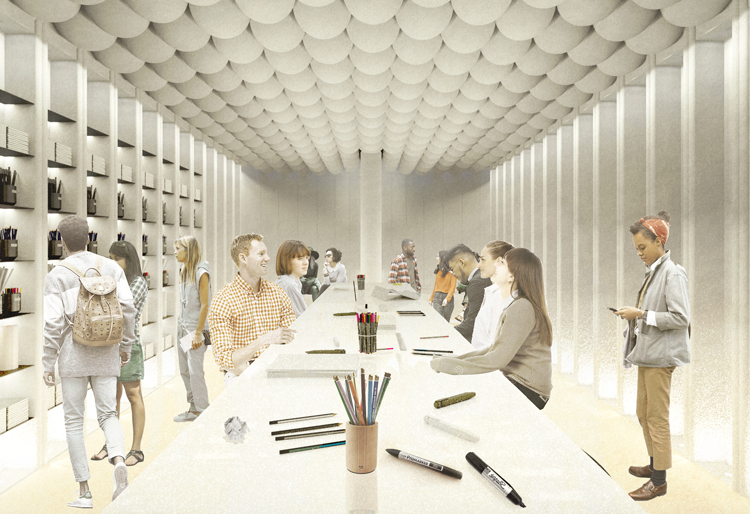 The Doon Street site will feature a co-working space created by architectural practice Squire and Partners, where visitors can go, work, relax and try out The Architect’s Toolkit, a new project that will launch at Designjunction. The toolkit has been created by stationery brand Mark+Fold alongside a design team and charity the Stephen Lawrence Charitable Trust (SLCT), and is an “architect’s essentials” kit aimed at budding architects from diverse and disadvantaged backgrounds, in a bid to introduce a broader range of young people to architecture and design. The Oxo Tower and Bargehouse will feature the exhibition of the Rado Star Prize UK, a design competition across lighting, ceramics, furniture and manufacturing. The winner receives £5,000. 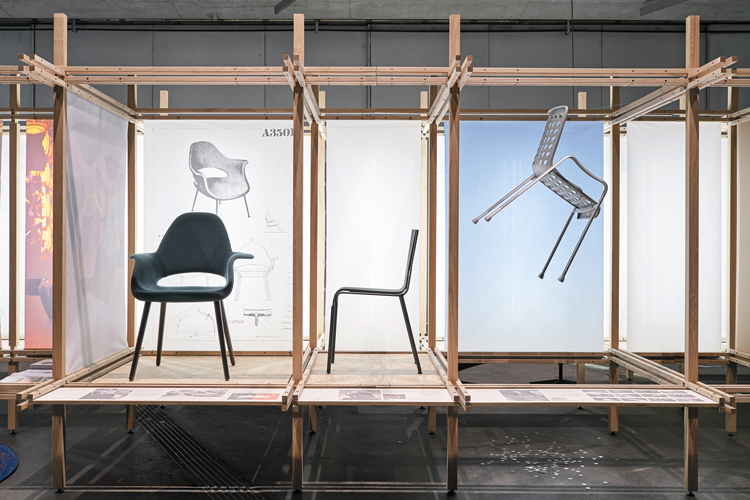 The area will also host an exhibition by Vitra, focusing on the company’s classic and contemporary products, and will showcase the winners of design and architecture print magazine Blueprint’s Photography Awards, an international competition for professional and amateur photographers. Designjunction London 2018 takes place 20-23 September 2018 at South Bank, London, SE1. More details on this year’s programme will be announced soon. Tickets cost £12 throughout August, and £16 throughout September. For more information and to buy tickets, head here.